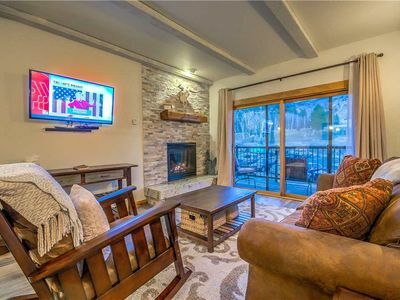 Best View in Steamboat ~ Full Remodel ~ HBO/DVR ~ Super Clean! 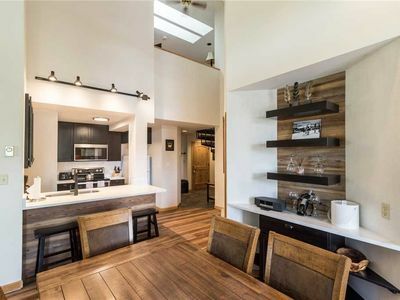 This condo was gutted and fully remodeled... walls torn out to create an open floor plan in the living room, dining room, and kitchen. Knotty alder cabinets, granite countertops, carpet and hardwood floors. 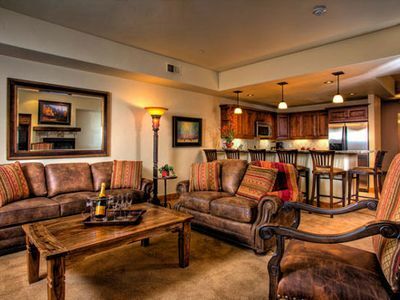 Two flat screen cable TVs with HBO and DVR, home theater surround sound, free high-speed wireless internet. Sheraton Sweet Sleeper mattresses, pillows & sheets. Both bathrooms renovated, one with jetted whirlpool tub and heated travertine floor. Ceiling fans in all rooms. Plush living room sofa and recliner. Washer/dryer in the unit. 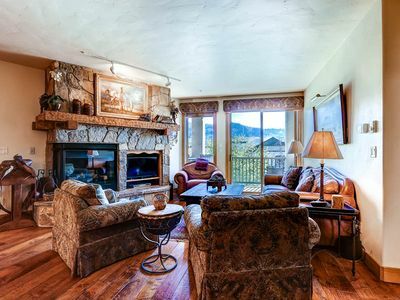 Located high on the mountain, you'll enjoy the spectacular panoramic view from the living room, dining room, and kitchen. 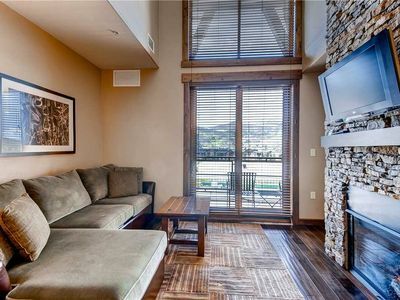 Slide open the 3-panel glass door, step out onto the private balcony, and take in the purple hues of the sunset over Emerald Mountain. The only thing obstructing your view from the mountains and the beautiful Yampa valley may be an occasional hot air balloon. Free on-call shuttle buses just steps from your front door take you to the gondola, from 7:30am to 5:00pm during ski season. They also run during the day and evening to grocery stores, liquor store, restaurants, and night life. - Corner unit, one level, 1000 sq. ft, open floor plan. - Quiet location high on the mountain. 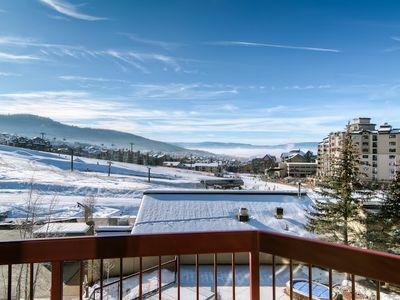 - Sunny balcony overlooking panoramic 'take-your-breath-away' view. - Front door just steps from the parking lot. - Queen beds in both bedrooms, with Sheraton Sweet Sleeper mattresses, pillows, sheets. 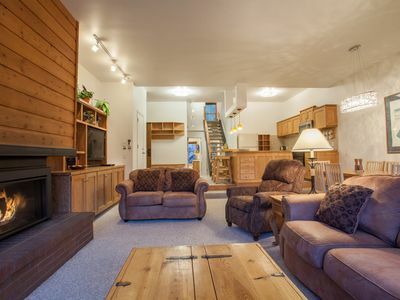 - Two full baths, one with jetted whirlpool tub and heated tile floor. - 42' flat screen TV with home theater surround sound including DVR, HBO, DVD/CD player, iPod dock. - 22' flat screen TV in bedroom with DVD player. - 75+ DVDs for all ages (no horror or extreme violence). - Free high-speed wireless secured internet service. - Bosch washer/dryer in unit. - Queen pull-out sofa in living room. 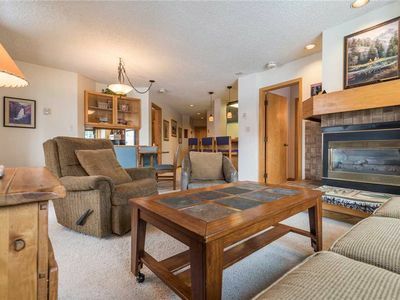 - Fully-equipped kitchen with knotty alder cabinets, granite, and maple floors. 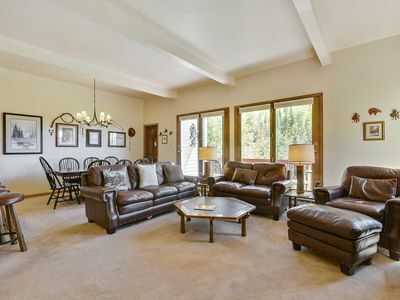 - Ceiling fans in living room, kitchen, and both bedrooms. - Gas grill on balcony. 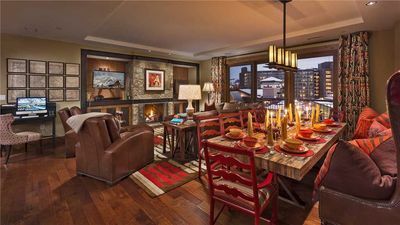 - Private heated ski locker. 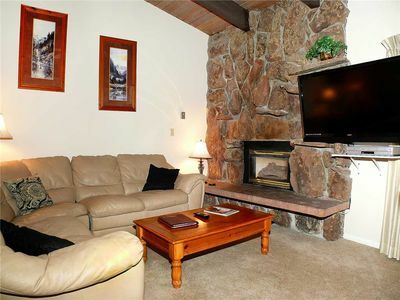 - Cozy gas fireplace surrounded by natural slate. - Lots of games, toys, books and CDs for you and your kids. - Baby-friendly, with pack-n-play and booster seat. - Privately owned and maintained with 'tender loving care'. 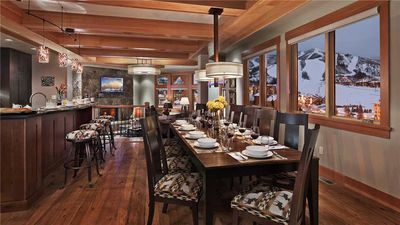 - Just off Apres Ski Way, 1/2 mile from gondola. - Heated road up to quiet complex high on the mountain. 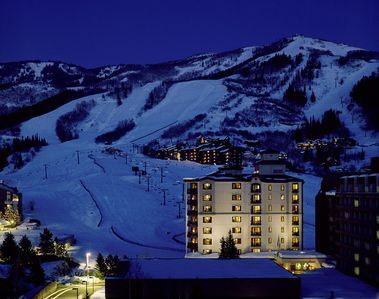 - Free on-call shuttle buses during ski season. 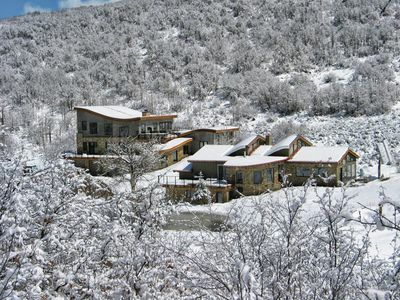 - Two outdoor hot tubs and free exercise room (new in 2014) with sunset views of Emerald Mountain. - Short walk to the free city bus. - Quality rating of 'Excellent' from Resort Impressions. - New windows in 2012. 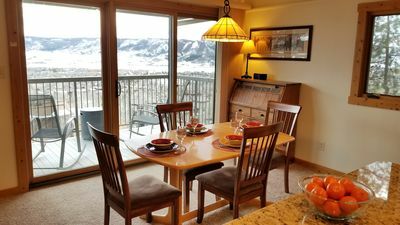 Note: There's no air conditioning ... but ceiling fans throughout the unit, multiple windows creating excellent cross-ventilation, being situated high on the mountain, and Steamboat's low humidity should keep you comfortable during the summer months. 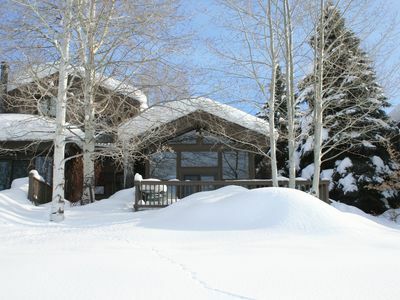 (Actually, few residences in Steamboat are air conditioned). * No Pets (Complex Rules). * No more than 2 vehicles in the parking lot; no oversized vehicles or trailers. 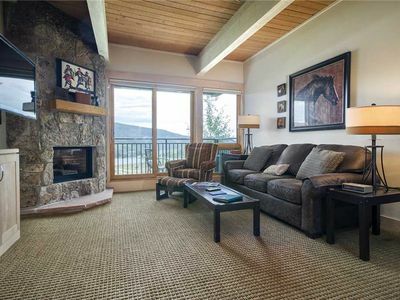 SC520 by Mountain Resorts ~ Walk to Hiking/Biking, Hot Tub! 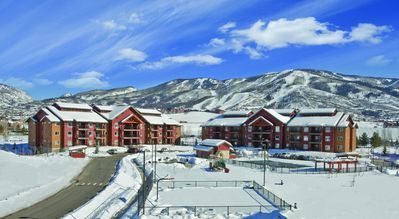 W3224 by Mountain Resorts ~ Short Walk to Mountain Village! Pool & Hot Tubs! 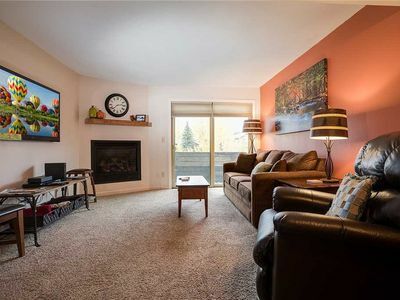 Townhome w/ Beautiful Views - Spacious Deck - Heated Pool! 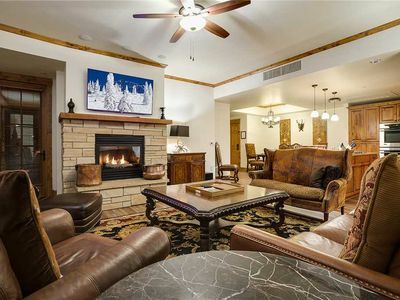 SHC19 by Mountain Resorts ~Light & Bright*Recent Updates*~Outdoor Pool & Hot Tub,On Free Bus Route!